Are you looking for the ​best compound bow string​ for your Xpedition Mountaineer 2019 by Expedition​? Well you found it! 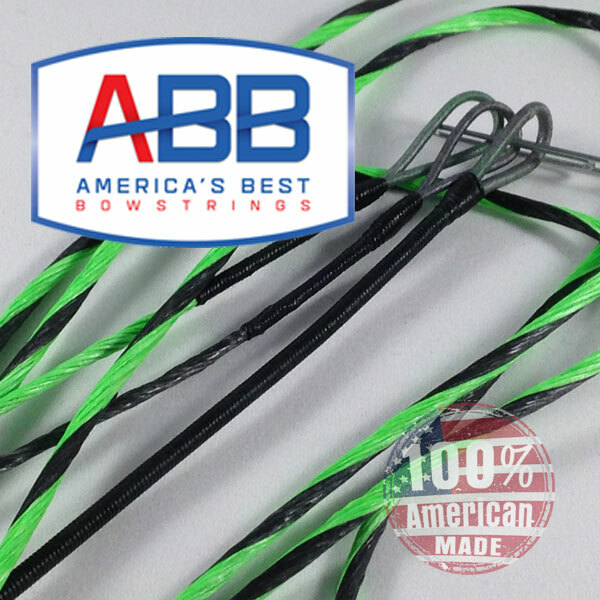 Americas Best Bowstrings offer the highest quality bowstrings money can buy. Using the finest BCY fibers on the market today as well as their advanced string building technologies they are able to provide you with the best bowstrings and cables out there for your Xpedition Mountaineer 2019. The strings have zero stretch, zero peep rotation, along with no serving separation allowing you to shoot your best. Your string will have Speed Nocks in the factory determined locations. Ulta End Loops that allows your string to fit into cams better. Our Power Grip Servings is more durable, grips string better and and offers better nock fit. As we say "Peace of Mind is Priceless", just install your strings and enjoy shooting your bow! Utilize our advanced custom string builder to customize your string with custom colors for your string and serving. We offer 3 unique series of custom bowstrings for your bow, so click below to learn more about them. Call ​us at 877-893-7155​ and talk to our specialist if you have any questions. Please select an ABB string series below to learn more and get started building your string!